TypeWriter will be playing at Home club next Friday 26 April. The gig starts at 8pm with Enec.e, Tricks & Cider, TypeWriter and Kevin Mathews & The Groovy People in that sequence. Entry is $12 and it includes one housepour and entry to KICKS! 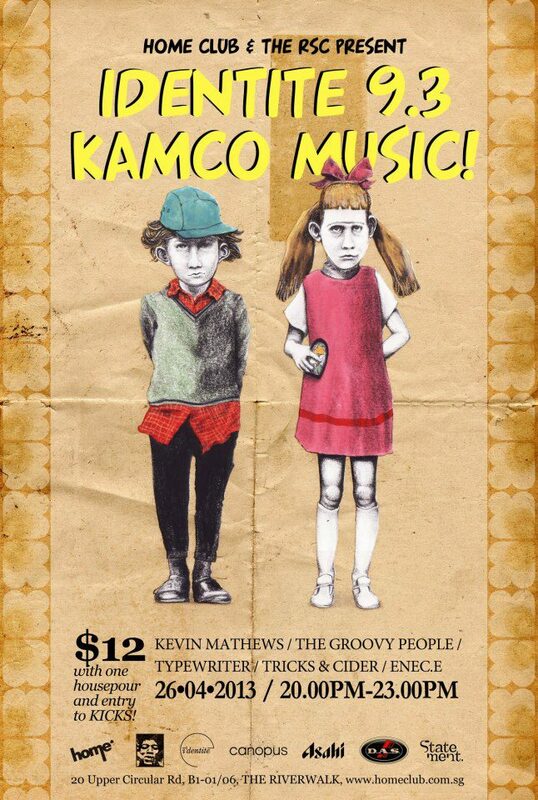 Patrick is also playing guitar for Kevin Mathews & The Groovy People. It’ll be a fun night. See you there!